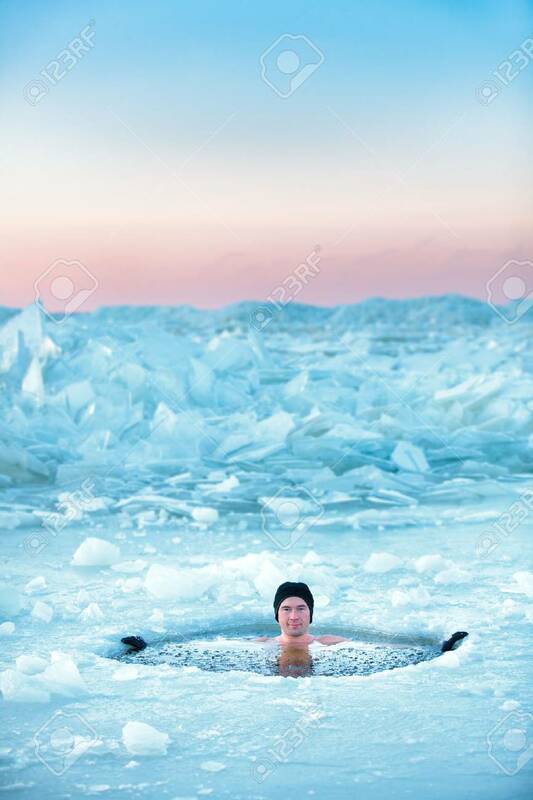 Winter Swimming In Frozen Sea. Man In An Ice-hole. Healthy Lifestyle Stock Photo, Picture And Royalty Free Image. Image 68139565.